Singapore / Boston, MA – Sept. 19, 2011 – iTwin, creator of the award-winning iTwin USB device that enables users to privately access, share and edit their files and media from anywhere in the world, is excited to announce compatibility with Mac OS X (Lion and Snow Leopard). Now both PC and Mac users can effortlessly share files via iTwin, a device that fits into the palm of a hand. iTwin is a revolutionary Plug’N’Play USB device that allows two online computers to share military-grade encrypted data from anywhere in the world. Comprising two identical parts, iTwin can be activated on any computer with an internet connection, and files from that computer can be shared anywhere the matching half, or “twin” goes. State of the Art Security – iTwin uses hardware-based two-factor authentication and military grade Advanced Encryption Standard (AES) 256 bit encryption to protect all data communication. When two halves of the iTwin are paired, the owner is sent a Remote Disable Code via email, which can be used in the event one half of the iTwin is lost or stolen. No Storage Limit – Files reside on the shared computers, not the iTwin device itself, so capacity is only limited to the size of each shared computer’s hard drive (and any connected drives). There are also no monthly storage fees, as compared with cloud storage and remote access software. Ease of Use – Simply Plug’n’Play, no setup or configuration is necessary. Just connect two computers (Mac or PC) with internet access and iTwin enables file transfer anywhere in the world. As new features and enhancements are rolled out, free updates are install automatically. For a demonstration video of how the iTwin works, click here. iTwin is currently available for $99 USD at www.iTwin.com/buy_iTwin and at Amazon.com. Existing Customers can get the free Mac OS X compatibility upgrade from iTwin.com/Mac. Every time there is a new version of the iTwin software, users will be automatically upgraded when plugging the device into a computer. Follow iTwin via @iTwinTweet or at www.facebook.com/iTwinFeed. iTwin is a USB device that enables users to securely access, share and edit all their files and media from anywhere in the world, simply and safely. 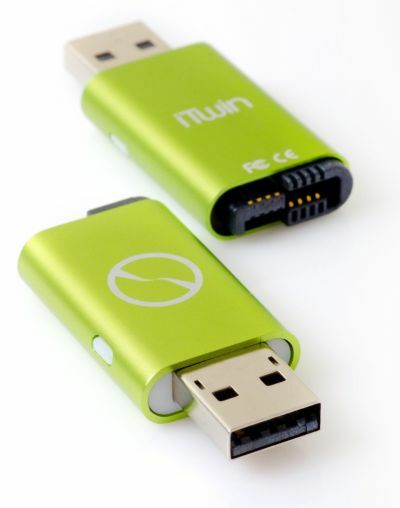 Only iTwin offers a plug-and-play USB device that lets users remotely access all their files and media from any online computer. Unlike other offerings which have space limitations, ongoing fees and security risks, iTwin's compact design offers limitless capacity for a one-time fee and also secures data via two-factor authentication, military-grade end-to-end encryption and remote disable functionality. iTwin enhances productivity by enabling people to privately and painlessly access, share and edit files on-the-go. For a one-time fee, iTwin eliminates security concerns and gives mobile users peace of mind and full control of their digital life. For more on iTwin, please visit www.iTwin.com, or follow us via @iTwinTweet & www.facebook.com/iTwinFeed.